This site will help you identify biocides and work out whether your products are affected by the laws that govern them. It also explains the process of applying for EU BPR authorisation / COPR approval. The European Chemicals Agency (ECHA) website provides details of further deadlines to help companies to comply with their obligations under EU BPR and the biocides Review Regulation. Affected companies should act now to meet the relevant deadline. How do I apply for product approval / authorisation? How can I find out if a product is already approved / authorised? 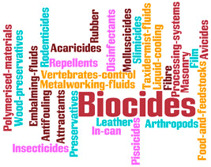 What do I do if I think I have been exposed to a biocide? Where can I find the Article 95 Active Substance Suppliers list? Sign-up below to receive emails with the latest news, information and updates for Biocides.